EXTENDED DEADLINE! Attawapiskat Power Corporation Job Postings for 2018 COTC Retrofit Season! 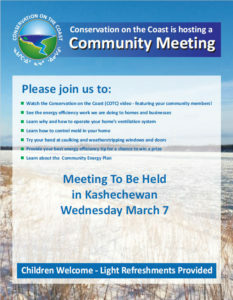 Join Conservation on the Coast for a Community Meeting in Kashechewan on Wednesday March 7th. More details coming once we know where it will be! 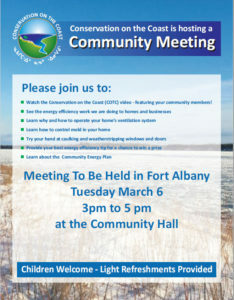 Join Conservation on the Coast for a Community Meeting in Fort Albany on Tuesday, March 6th. We’ll Share Media Coverage Here!